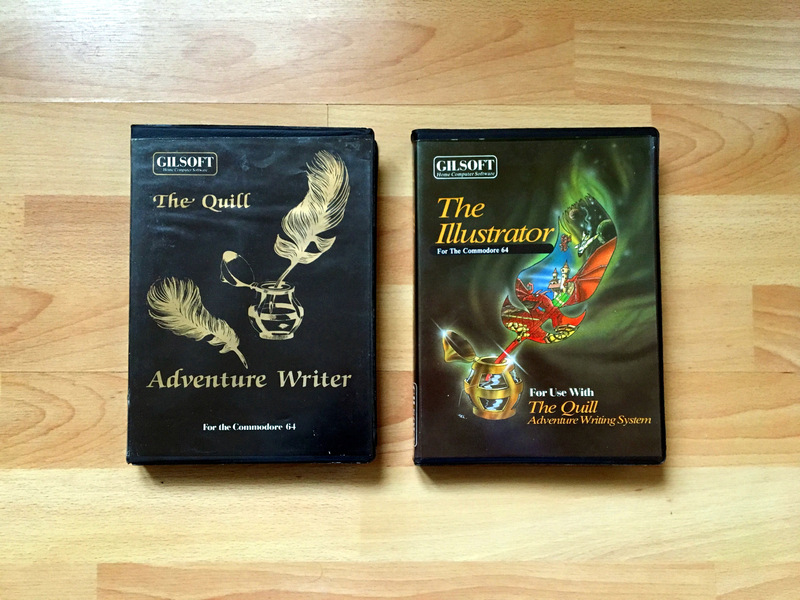 Let’s say you created this wonderful adventure and you already managed to bundle a Commodore 64 disk release, which is already half the battle. How do you get it on tape now, as we all know tapes are the future? It’s actually an easy and straightforward process, so let’s have a look! It is intended you follow this tutorial in an emulator, I highly recommend VICE for this purpose. You may also use real hardware if you own a 1541 Ultimate II+ with tape adapter. Make sure you also have a cartridge (.CRT) image of the Action Replay 6, the most popular of the legendary freeze cartridges from the decade. If you’re using the Ultimate II+, your device should already have the image equipped and you may just activate it in options. Please consider that Datel is still an operating company and the Action Replay is their intellectual property. That’s why I won’t provide you a download here. I still own the AR6 back from the day. As an owner, I may of course use CRT image for my own personal purposes. In VICE, I’m using a version which was cracked by famous release group TRIAD back in the early 90s. I found it working very well. For some odd reasons other AR6 images I found had issues. Don’t get fooled when you stumble upon newer C64 Action Replay revisions. These are actually hacks which most of the time even don’t add new features. 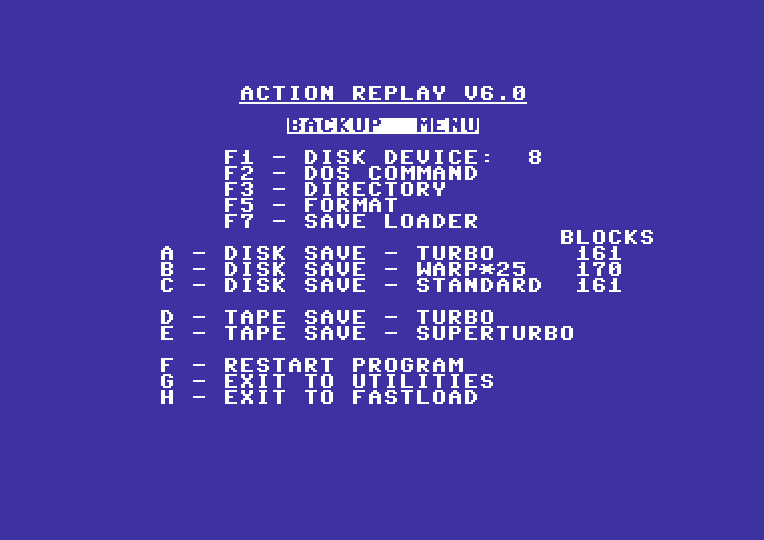 The last official release for the C64 was the Action Replay MK6. The Action Replay 6 startup scrreen (cracked version / TRIAD). When you add the CRT file via VICE’s SMART ADD CARTRIDGE feature, you should see the above image. 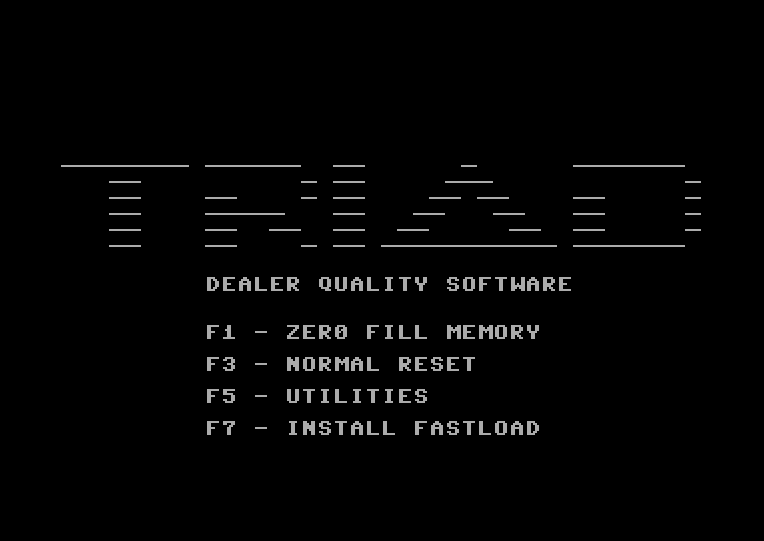 The first thing to do is hitting F7, it will return you to C64 BASIC but it adds a efficient fastloader. Time is money. This is how the BASIC prompt looks when the AR Cyberload is enabled. 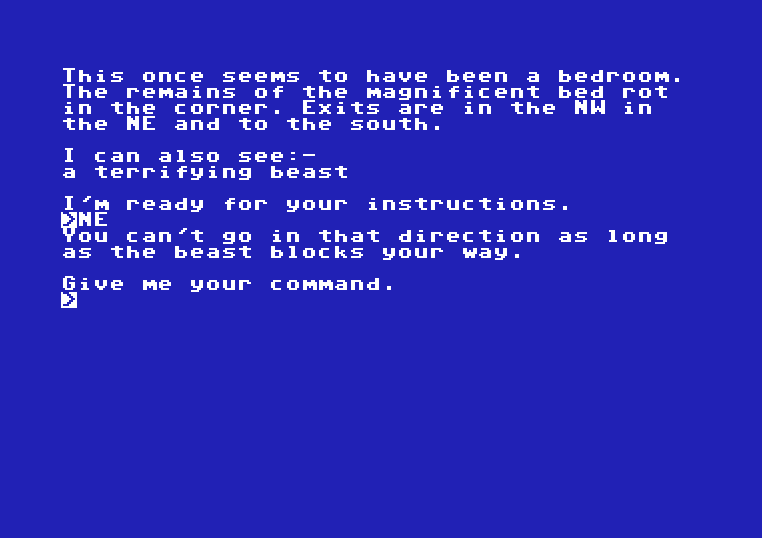 Now put the disk image of your adventure in drive 8 and load your adventure as it is intended to be loaded until you see the very first screen of your game. In VICE under FILE, there is a menu option called CARTRIDGE FREEZE. Clicking on this emulates pressing the freeze button on the cartridge, so do that. This is the Action Replay’s freeze menu. As you can see, there is some impressive stuff you can do from the freeze menu, but we press F1 now for the BACKUP option. You guys can probably imagine that this so-called “backup” was actually intended for much darker desires than doing backups of your own software. It was particularly strong in working around copy protection. 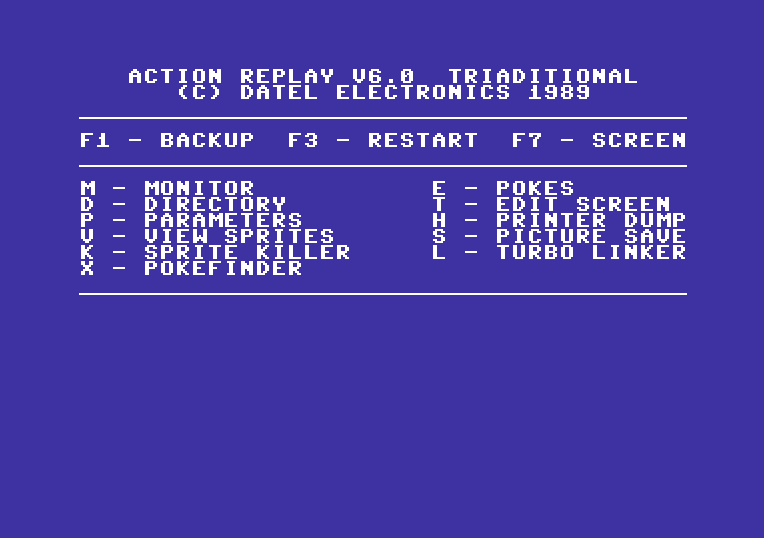 The Action Replay Backup Menu. This is where we are going to make a first but important decision. I have created DAAD tape loaders supporting HIRES and MULTICOLOR images. The code is based on the C64 Disk loader templates, but modified to work on tape, so you pretty much know what to expect. But lets say first that your game doesn’t have a loading screen, which is the easiest way to get your game on tape. Games without loading screen: Select Option E: TAPE SAVE – SUPERTURBO. You should now be prompted to define a file name. Before you continue, you should first create a blank .TAP file in VICE, then attach it to VICE’s virtual datasette. Now give your game a name. Follow the instructions on the screen. 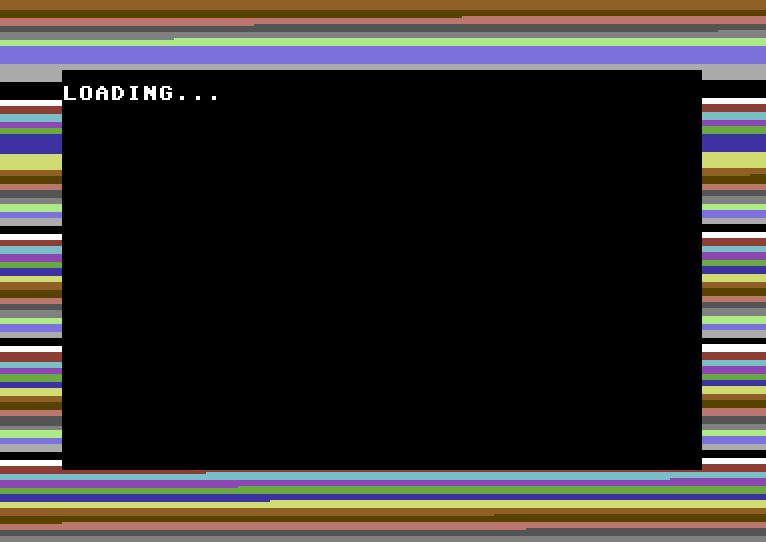 You can access the tape controls from the menu or from VICE’s status bar at the bottom of the emulation screen. When the backup tool has done it’s job, you may reset and try to load your game from tape. 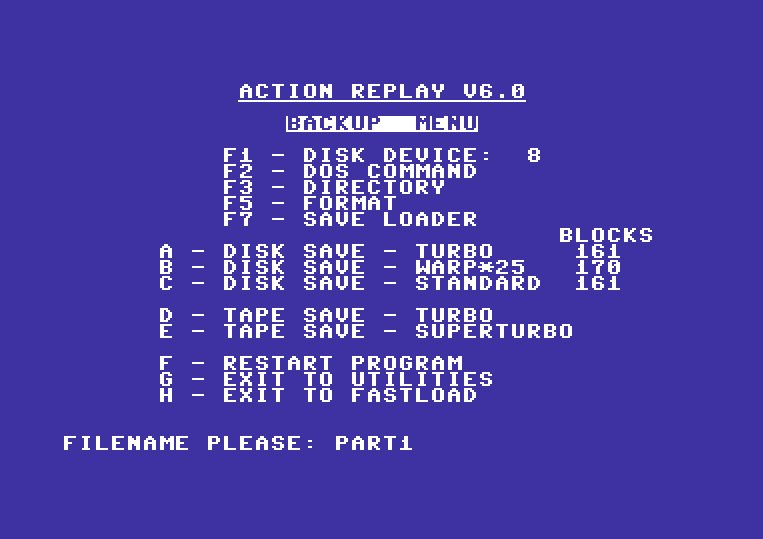 The Action Replay backup utility adds a very efficient fastloader to your tape, so the game is loaded from tape with high speed. Games with loading screen: The process is different when you have a loading screen ready. But I tried my best to make this as easy as possible for you. The naming convention when you plan to use the DAAD tape loaders. Before you continue here, swap the disk image of your game with the DAAD TAPE TEMP disk image. Use a copy so the template remains. You will find that in LIB\C64, provided you run a DAAD version newer than R3. If you still use R3, make sure you have at least downloaded the separate C64 mastering update from the official DAAD page. After swapping the disk image, hit C for standard DISK SAVE. When prompted for a file name, choose PART1. If your game has more parts, repeat the previous steps but save it PART2 and so on. Now reset the Commodore 64. In addition to the PART files, put your loader image on the DAAD TEMP disk. It has to follow the same naming conventions as the disk loaders require: LOADERPIC. The best is to just copy it from your game release disk to the temp disk. When you have everything on the temp disk you’re ready to create the tape version of your game. Here is the directory structure as it should look now. 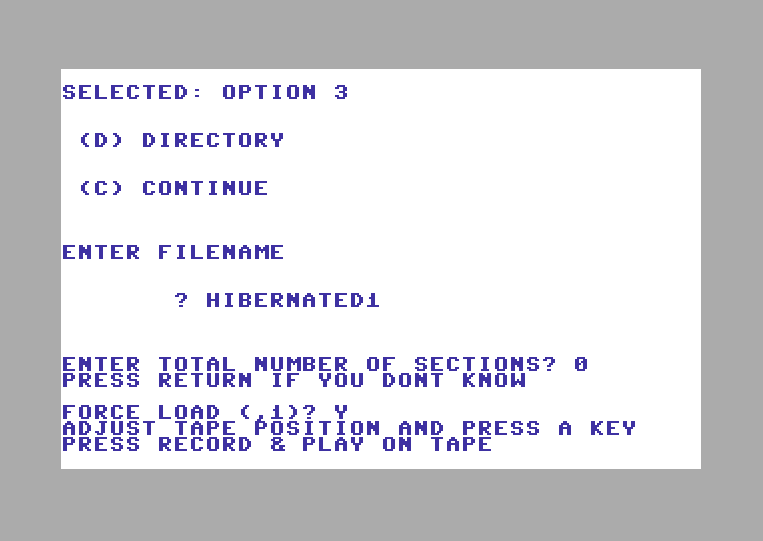 Depending on whether you’re using a Multicolor or Hires screen, load the corresponding tape loader. The file TAPHIRES1 for example is a loader presenting a Hires image that loads a game called PART1. Save the loader with your game’s name. TAPKOALA2 would present a Koala image and then load a PART2 program file. Take a look at the screen if you’re not sure how you would do that. Load the tool “DISK2TAPE” afterwards. Disk to tape is a wonderful tool, which was released by DOSOFT in 1985. It’s still priceless because it just works and makes our task so simple now. When the application starts, use VICE’s option to create a blank .TAP file, then attach it to the virtual datasette. 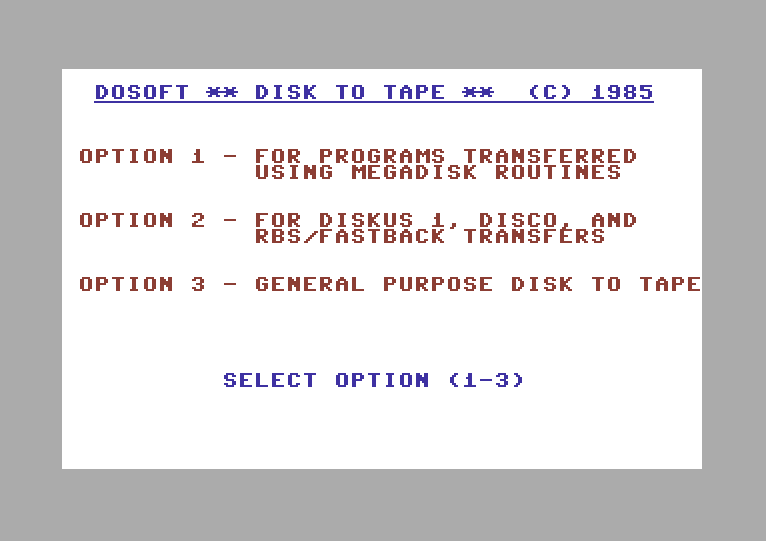 Now continue in Disk to Tape by selecting option 3 – GENERAL PURPOSE DISK TO TAPE. Surprising how a software still matters after so many years. The DIRECTORY option would again show you the contents of the DAAD Temp disk. But we still remember of course what name we have given our loader, so just enter it here. Just hit RETURN, it’s not mandatory to enter the number of sections. The program works pretty well without. When asked to FORCE LOAD select YES. Use VICE’s tape control to press record on tape. Watch the program as it saves loader, image and game step by step all to your tape file. When your game is finally loaded, Disk to Tape is done and you may reset the Commodore 64. Take out the disk image from drive 8 and give your shiny new tape release a test ride. Disk to Tape even adds a fastload routine to your game, which is super convenient. Loading times without a fastloader are crazy. You’re basically done now. Congratulations! But you might want to provide a .WAV file so that you may create physical media suitable for distribution. If you work with an publisher, they will ask for a WAV file anyway. There is a nice DOS tool called TAPWAV which works pretty well for this purpose. 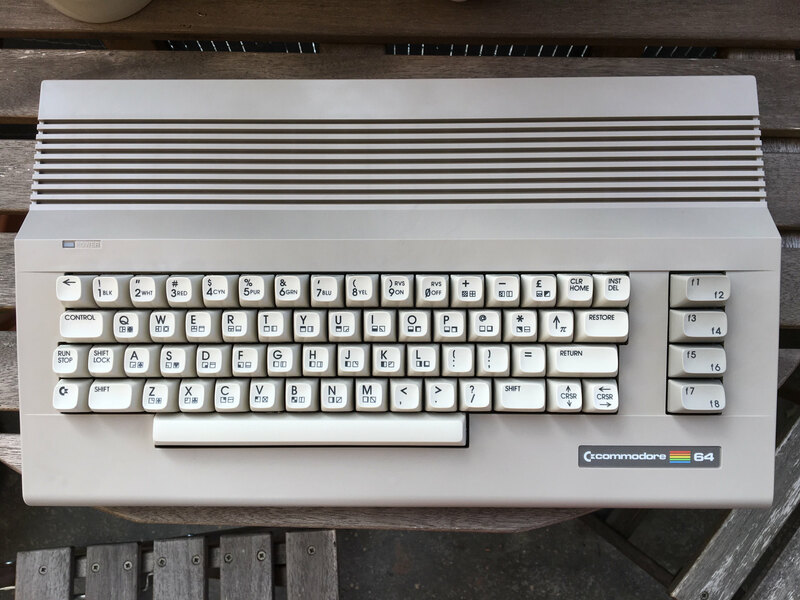 It translates a Commodore 64 v1 TAP file to WAV format. Vice only supports v1 TAPs so you can’t do anything wrong. Enjoy! I have dedicated myself to preserving the heritage of the golden age of home computers. 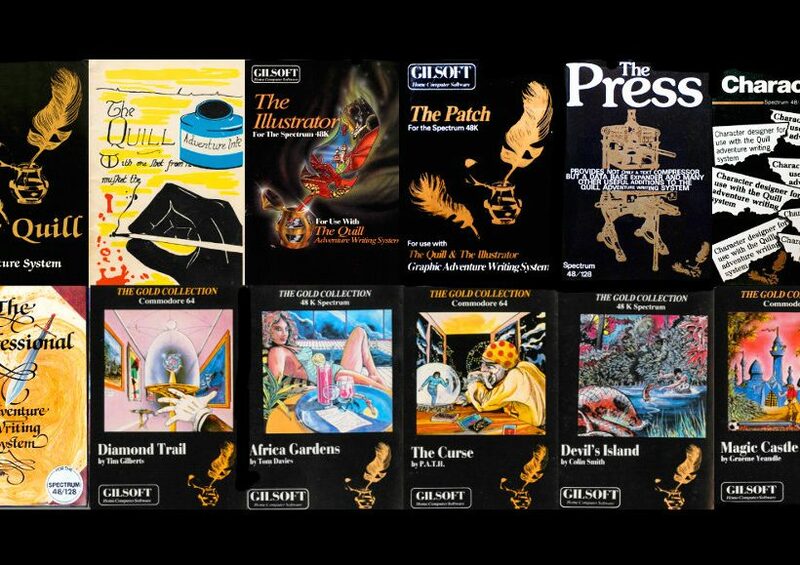 How much history is there on so far undiscovered tapes? I am strongly influenced by 80s pop culture.